Justice Institute of British Columbia (JIBC) recognizes individuals who have excelled in their contributions and accomplishments in their field. Please expand selections below to view photos and citations of previous recipients of JIBC’s Honorary Doctor of Laws, LLD. Retired fire chief Don Jolley was recognized for his three decades of multi-faceted leadership and service as a first responder. He has been active in helping to train other first responders at JIBC where he has served as an instructor, facilitator, mentor, evaluator, consultant and advisory board member for many Institute departments, subjects and disciplines for almost 30 years. While serving as a paramedic he also acted as an examiner for the Province of British Columbia’s Emergency Medical Assistant Licensing Branch. Jolley has long been an advocate for innovation and evidenced-based decisions in public safety. He was elected seven times by his peers as vice-president of the Fire Chiefs Association of BC where he worked toward modernizing and enhancing the delivery of fire service in the province. His leadership roles have included representing the Office of the Fire Commissioner of BC for the provincial wildfire response in both 2017 and 2018. The Honourable Steven Point, a provincial court judge and former BC lieutenant-governor, was recognized for his dedication to public service and his leadership in the Indigenous community. Between 2007 and 2012, Justice Point served as British Columbia’s 28th lieutenant-governor and was the first Indigenous person appointed to represent the Queen in the province. Prior to that, he served as Chief of the Skowkale First Nation and as Tribal Chair of the Stó:lō Nation and Grand Chief of Stó:lō Tribal Council. He was called to the BC Bar in 1986 and practised criminal law and native law. He served as an immigration adjudicator and provincial court judge before becoming Chief Commissioner of the British Columbia Treaty Commission in 2005. He was reappointed as a provincial court judge in 2014. Justice Point is a recipient of The Justice Institute of British Columbia Foundation’s Joseph H. Cohen Award and has served on the JIBC Aboriginal Education Advisory Council. His other previous honours include: the Order of British Columbia (2007), the Queen Elizabeth II Golden Jubilee (2002) and Diamond Jubilee (2012) medals, Knight of the Most Venerable Order of the Hospital of St. John of Jerusalem (2008), and the Order of Chilliwack (2016). He has received Honorary Doctorates of Law from the University of the Fraser Valley (2000), University of Victoria (2012), University of British Columbia (2013) and Capilano University (2017). Lorne Segal is President of Kingswood Properties Ltd. and a Director of the Greater Vancouver Board of Trade. The local business leader and philanthropist was recognized for his commitment to raising awareness and funding to support people struggling with mental health and toward youth empowerment. His current volunteer work includes 14 years as chair of Coast Mental Health Foundation’s Courage to Come Back Awards – an annual fundraising gala with over 1,500 people in attendance. His involvement with the organization started 20 years ago and over the years he has helped raise in excess of $15 million for the charity. Segal is the founding chair of WE Charity’s (formerly known as Free the Children) We Day Vancouver, an international social movement among youth to promote social responsibility and global citizenship, and has served as chair for the past 12 years. He is also a member of Simon Fraser University’s Dean’s External Advisory Board for the Segal Graduate School of Business. His previous honours include a JIBC Foundation Community Leadership Award (2012), the Queen Elizabeth II Diamond Jubilee Medal for Service (2013), the Order of British Columbia (2014), and a Doctor of Letters (Hon.) (2015) from Capilano University. In 2017 he was recognized by the Canadian Centre for Addiction and Mental Health as one of 150 difference makers across the country. Following a 28-year career with the Royal Canadian Mounted Police (RCMP), former Assistant Commissioner Bill Fordy was appointed the new Deputy Chief of Police for the Niagara Regional Police Service, effective June 27, 2017. It is the oldest regional police service in Ontario and serves 12 municipalities totalling about 430,000 residents and an estimated 15 million visitors annually. The police service patrols one of the largest geographical regions in the province, with more than 1,000 sworn and civilian members. In his previous role as Assistant Commissioner, Mr. Fordy oversaw the RCMP’s Lower Mainland District and was responsible for all the RCMP detachments in the Lower Mainland and five integrated units – the Integrated Homicide Investigation Team (IHIT), LMD Emergency Response Team, Integrated Collision Analysis and Reconstruction Service, LMD Integrated Forensic Identification Service and the Police Dog Service ­– which operate in conjunction with municipal police departments in Abbotsford, Delta, New Westminster, Port Moody and West Vancouver. Prior to this, he served as Chief Superintendent, the Officer in Charge (OIC) of the Surrey RCMP detachment, the largest in Canada with more than 800 police officers and almost 300 support staff. Among his many accomplishments, Mr. Fordy has been a leader and expert on interviewing techniques and major case management. As a result of his work in the field of police interviewing, hundreds of high profile investigations have been successfully resolved and important case law has been created. While serving as OIC for Surrey RCMP, he played a key leadership role in the creation of Sophie’s Place Child Advocacy Centre, a specialized, child-friendly centre to coordinate child abuse investigations and develop integrated supports for child victims of physical and sexual abuse. He also led and supported the integration of the Ministry of Justice’s Community-Based Victims Services into the Surrey RCMP Domestic Violence Unit and Police-Based Victim Services, a change which has helped in the prevention, education and intervention around violence against women. He has been recognized with an appointment into the Order of Merit of Police Forces by the Governor General of Canada, the Queen Elizabeth II Diamond Jubilee Medal, and the RCMP E Division Commanding Officers Commendation. The latter was for his outstanding service in the investigation of the disappearances of a large number of women from the Metro Vancouver area. As the main interviewer of the suspect, Mr. Fordy helped develop strategies to gather evidence that eventually led to the conviction of Robert Pickton for the murders. Stephen Gamble, a 38-year firefighter veteran, currently serves as fire chief for the Township of Langley. Mr. Gamble entered the fire service in 1978 as a volunteer firefighter with the City of Port Coquitlam where he was hired as a full-time career firefighter in 1980. He was promoted to Assistant Fire Chief of Operations and Emergency Preparedness Coordinator in 1996, Acting Fire Chief for the department in 2001, and the full time Fire Chief/Emergency Coordinator for the City of Port Coquitlam in 2003. He became Township of Langley Fire Chief in 2011. Mr. Gamble has over 12 years of experience as an adjunct instructor with the Justice Institute of British Columbia, and holds certifications including a certificate in Municipal Management from Capilano University, a bachelor’s degree in justice and public leadership with Simon Fraser University, and a fellowship designation with the Institute of Fire Engineers. From 2007 to 2011, Mr. Gamble served as the president of the Fire Chiefs’ Association of British Columbia. In 2012, he became the first BC fire chief in 20 years to be elected president of the Canadian Association of Fire Chiefs (CAFC), only the fourth fire chief from British Columbia to hold the position in the organization’s century-long history. He served in that role until 2014 and in 2016 Mr. Gamble received the distinction of the CAFC Full-time Fire Chief of the Year award. Gary Bass, originally from New Brunswick, spent over 39 years in the Royal Canadian Mounted Police at a variety of locations from coast to coast across Canada. He retired in May 2011 as the Deputy Commissioner for Canada West, which included the three Northern Territories, the Prairie Provinces and British Columbia. Prior to that, he was the Commanding Officer for "E" Division RCMP (BC) and Deputy Commissioner for Pacific Region, BC and the Yukon. Before moving to senior management positions in the RCMP, Mr. Bass spent most of his career involved in major crimes, homicide investigation, terrorism and organized crime investigations, as well as general policing across Canada. During this time, he was an expert court witness on the Drug Trafficking, Organized Crime, Outlaw Motorcycle Gangs and Major Case Management. Since retiring from the RCMP, he has been working at the Institute for Canadian Urban Research Studies at Simon Fraser University as a Senior Research Fellow with interests in policing and related criminal justice issues. Mr. Bass is a member of the Board of Governors of Commissionaires BC, the Board of Directors of the VisionQuest Recovery Society, the Board of Directors for the Canadian Centre on Substance Abuse and Board of Governors for E-COMM, the Emergency Communications for BC. He recently served on the Premier of British Columbia's Blue Ribbon Panel for Crime Reduction, which made recommendations to the Premier last year on changes to the criminal justice system in British Columbia. Awards include two Commissioner’s Commendations, one from the United States Under Secretary to the Navy, two Commanding Officer’s Commendations, RCMP Long Service Medal, Queen’s Jubilee Medal, Officer of the Order of Merit of Police Forces, two awards from the Lieutenant Governor of British Columbia, Outstanding Service and Meritorious Service. Mr. Bass is married to Ruth, with two daughters, Kathryn and Laura and have two grandchildren. They have retired in Langley British Columbia. Dr. Schonfeld practiced family medicine for 22 years and was a very active health care advocate for much of his career. In addition to his general practice, he served as Head of Family Practice at BC Children’s Hospital, and Medical Director of the Discharge Planning Unit at Vancouver General Hospital. As an advocate, he held a number of key positions in the BC Medical Association (now Doctors of BC) serving as a board member, director of professional relations, president, and then CEO for 14 years prior to his retirement in 2011. 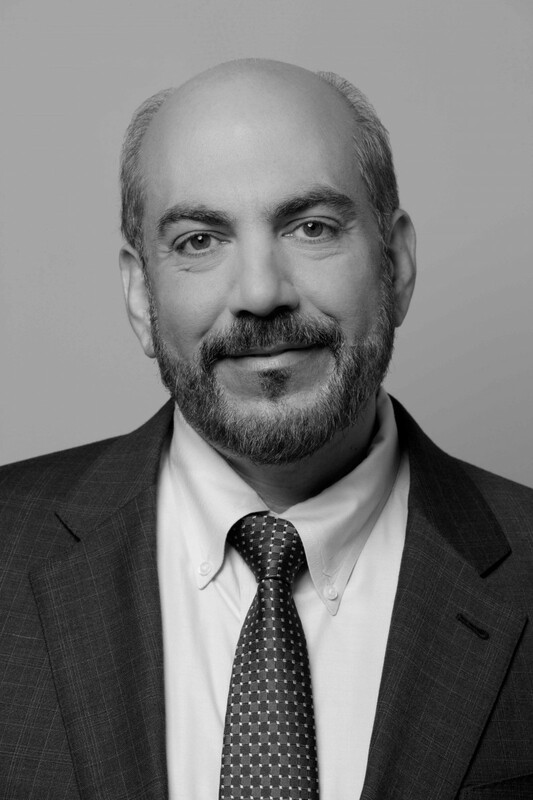 During his tenure as BCMA CEO, Dr. Schonfeld helped strengthen the organization to become one of Canada’s leading professional organizations and achieved a high level of member satisfaction with 95% of eligible doctors in the province choosing to be members of the voluntary organization. He contributed to the advancement of the medical profession nationally serving as a board member of the Canadian Medical Association; chair of the CMA Provincial CEOs Forum from 2002 to 2005; chair of the CMA Health Information Technology Committee (2003-2011); and co-chaired the Ministry of Health Physicians Services Committee. He also served as chair of the Board of Governors of the Hamber Foundation, a member of The JIBC Foundation Board of Directors (2003 – 2006), and a member of the JIBC Board of Governors (2006-2012). He continues his work as a physician, educator, advocate and community leader. He serves as visiting staff at Vancouver General Hospital; is a Clinical Assistant Professor at the UBC Faculty of Medicine; Board Member of Pacific Blue Cross, MD Financial Holdings, and the Vancouver Board of Trade; Member of the UBC Faculty of Medicine’s Admissions Selection Committee, and the Sauder School of Business EMBA Healthcare Advisory Board. Andrew Saxton Sr. is chairman of King George Financial Corporation and has played a significant role in the social, cultural and economic lives of Canadians. Having been orphaned since the age of 14 in Hungary, Mr. Saxton arrived in Canada in 1947 when he was 18, and became a Canadian citizen in 1953. From his first job as an accountant with Canada Packers Ltd., Andrew Saxton went on to establish a number of significant enterprises and serve on the board of 18 businesses throughout his career. Among his many executive posts, he was co-founder and served as an Executive Vice-President and Director at Laurentide Financial Corporation, which became a major economic generator with more than 2,000 employees and 220 branch offices. He also served as President of Elite Insurance Company, President of The Granville Island Hotel & Marina, Director of the British Columbia Television Broadcasting System Ltd. and Chairman of Grouse Mountain Resorts Ltd. He was a founding member of all these companies. Early examples of his visionary leadership made him the founder of the Grouse Mountain Skyride in 1966, which led to the skiing and hiking resort becoming one of the largest privately-owned tourist attractions in B.C. with more than 1.2 million visitors annually. He was also a member of the syndicate that won the first license for a private television station in Canada in 1960. The group formed what would become BCTV, which is now part of the Global TV chain, and remains one of the province’s most influential media and news organizations. As Chairman of King George Development Corporation, he was instrumental in having Metro Vancouver’s SkyTrain rapid transit system extended to Surrey’s King George Station in 1994, with his company donating both cash and land to the project. Alongside his successful business career, Andrew Saxton has made significant contributions to health and charitable organizations in B.C. and around the world. Among his many affiliations, he has served as President of the BC Heart Foundation; Director of the Canadian Heart Foundation in Ottawa; Executive Board Member of the World Heart Federation based in Geneva, Switzerland; Convocation Founder of Simon Fraser University; and one of the founders and President of ENDEAVOUR, a charity auction. He has been recognized for his many contributions, receiving the Distinguished Service Award from the Heart and Stroke Foundation of Canada; the Queen’s Golden and Diamond Jubilee Awards; and the Honorary Alumnus Award from the University of British Columbia. Robert Louie, LL.B., of Kelowna, B.C. is the Chief of the Westbank First Nation. He is also the Chairman of the First Nations Lands Advisory Board and Chairman and Board of Director member of Peace Hills Trust (Financial Institution). He served as a Board of Governor member with the University of British Columbia and as a member of the President’s Advisory Council of the University of British Columbia Okanagan (UBC-O). Chief Louie is also a former practicing lawyer who specialized in native law. Previously he was a member of a Task Group of the First Nations Summit, and was involved in B.C. treaty negotiations representing the Chiefs in B.C. for a period of four years. Chief Louie has been the recipient of many awards and recognitions over the years. Most recent, and by far the most prestigious, was his appointment as an Officer to the Order of Canada. Dianne Watts was first elected as Mayor of Surrey in 2005 after serving nine years on City Council. She was re-elected for her third term in 2011. The mayor’s major public policy initiatives have played a significant role in attracting investment and creating jobs. Under her leadership, Surrey has achieved one of the lowest tax rates in Canada. As a result, the City of Surrey was named the best place in BC to invest and the fourth best city in Canada, by the Real Estate Investment Network. Important initiatives include: The City of Surrey Crime Reduction Strategy (SCRS). Implemented in 2006, the SCRS provides an innovative problem-solving approach to address the root causes of crime. Led and inspired by Mayor Watts, the SCRS is a collaborative strategy whose success has depended upon the concerted efforts and collective input of numerous stakeholders across the City. This is a living document whose 106 recommendations continue to be implemented and whose programs help foster new partnerships and create innovative programs to address crime. The involvement of the Surrey RCMP, Surrey Fire Service, over 50 community groups and over 100 individuals, as well as all three levels of government, have contributed to the effectiveness of this strategy. The SCRS won the 2011 Solicitor General’s Crime Prevention and Community Safety Award in the local government category. This award recognizes outstanding leadership in the category of promoting and implementing crime prevention and community safety strategies. The strategy seeks to apply international best practices and standards tailored specifically to address Surrey’s specific needs. The Strategy contains 106 recommendations that fall into the following four strands. The Surrey Crime Reduction Strategy has become a model for cities throughout the world. Mr. Armstrong was born in St. John, New Brunswick and has been an active resident of Vancouver for over 45 years. He attended St. George’s School, BCIT’s Hotel Management Program and the University of British Columbia. He participates on many industry and community Boards including as the President of the Non-Partisan Association Board as well as a Trustee on the Vancouver Police Foundation. He has been inducted into the Canadian Tourism Hall of Fame and the Canadian Railway Hall of Fame. He was also named British Columbia’s 2007 Tourism Leader of the Year and has received his ICD.D designation from the Institute of Corporate Directors. He is a recipient of the Ernst & Young Entrepreneur of the Year Award for Tourism and Hospitality as well as the Canadian Venture Capital Association’s Entrepreneur of the Year Award. Peter M. Brown was born in 1941 in Vancouver where he lives today. After attending the University of British Columbia, he entered the investment business with Greenshields Inc. in 1962. Today he remains Founder and Honorary Chairman of Canaccord Financial Inc. which he founded in 1968. Today, Canaccord services private clients and investors through 23 wealth management office located in Canada, Australia, the UK and Europe. Canaccord Genuity, the international capital markets division, operates in 12 countries including Canada, United States, UK, France, Germany, Ireland, Italy, China, Hong Kong, Singapore, Australia and Barbados. Peter Brown is currently serving as Chairman of the Board for the Fraser Institute and Vice Chairman of the Investment Industry Association. Mr. Brown is British Columbia’s representative on the Advisory Committee to the Canadian Securities Transition Office to lead the transition to a single Canadian securities regulator. He is a Member of the Economic Advisory Council to the Federal Minister of Finance and is also currently serving as a federally appointed Lead Director and Member of the Finance Committee for the Vancouver 2010 Olympic & Paralympics Games which successfully brought the Vancouver 2010 Olympics to Canada. Recently, the Business Council of British Columbia appointed Mr. Brown to their Board of Governors. Peter Brown is the Chair of the Vancouver Police Foundation and Honorary Chairman of the fund drive for the Emily Carr University of Art & Design. He has served on the boards of numerous private sector and crown corporations over the years. Formerly, he was a Director of the Vancouver Convention Centre Expansion Project Limited & Pavilion Corp (both Crown Corporations). Among his attainments, he was the past Chairman of the University of British Columbia, The Vancouver Stock Exchange, B.C. Place Corporation and B.C. Enterprise Corporation (both Crown Corporations). He was also the Vice Chairman of Expo 86 Corporation. Mr. Brown is a recipient of the B.C. Chamber of Commerce Businessman of the Year award; the B.C. & Yukon Chamber of Mines Financier Award and the Pacific Entrepreneur of The Year Award for 2001. In 2002 he received the Distinguished Service Award by the Prospectors and Developers Association of Canada. In January 2003, Mr. Brown received a Commemorative Medal for the Golden Jubilee of Her Majesty Queen Elizabeth. In June 2003, he was awarded the Order of British Columbia. The Brotherhood Inter-Faith Society recognized Peter Brown as their Person of the Year in February 2004. In the spring of 2005, Mr. Brown received a honorary degree (Doctor of Laws) from the University of British Columbia. In 2007, he received the Distinguished Graduate Award from St. George’s School and the Ted Ticknor Award for Exceptional Contribution from Big Brothers of Greater Vancouver. In 2009, Mr. Brown received the Fraser Institute’s T. Patrick Boyle Founder’s Award. In 2010, Peter Brown was inducted into the Canadian Mining Hall of Fame recognizing his entrepreneurial spirit and contribution to Canada’s mining industry. He also became a Honourary Member of the Vancouver Police Pipe Band in 2009 and received the first ever civilian commendation from the Vancouver City Police. Ernst & Young recognized him with the Lifetime Achievement Award in 2010 and in May 2011 he was inducted into the Business Laureates of BC Hall of Fame. Michael J. Fox, OC, is a Canadian-born actor, author, producer, voice-over artist, and activist. His film and television career spans from the late 1970s, and includes leading roles in the Back to the Future trilogy (1985-1990); Family Ties (1982-1989) for which he won three Emmy Awards and a Golden Globe Award; and Spin City (1996-2000), for which he won an Emmy, three Golden Globes, and two Screen Actors Guild Awards. His acting career had its beginnings at the original JIBC Jericho campus, where Fox role-played in simulations designed to prepare recruits for the rigours and demands of their policing careers. Much of his time and energy is now devoted to raising research funding and awareness for Parkinson’s disease through The Michael J. Fox Foundation for Parkinson’s Research. In addition to the numerous awards he has received during his career, Fox is also the recipient of many humanitarian awards for his work and was appointed an Officer of the Order of Canada in 2010. Val Pattee is a retired Canadian Major General, who was Chief of Intelligence and Security for NATO in Europe and for Canada. After retiring from the Canadian Forces, he moved to British Columbia to become Assistant Deputy Minister of Police Services, then the Executive Director of BC Ambulance Services. The leadership roles with these organizations resulted in an invitation to join the JIBC Board of Governors between 1997 and 2003, which he served as Chair from 2000- 2003. He was also active on the JIBC Foundation Board from 2001 to 2002. To the impressive list of accomplishments generated during a distinguished career with the Canadian Forces and the BC Public Service, Val Pattee also adds that of “author”, having written and published “The Onion Files” in 2008. Dr. Irving K. “Ike” Barber, widely recognized as a one of BC’s most prominent entrepreneurs and philanthropists, has worked hard to ensure that British Columbians benefit from their forests, as well as educational opportunities. Dr. Barber was born in Edmonton, Alberta in 1923. He dropped out of school in Grade 11, and at 19 he travelled to the Peace River Region. The Alaska Highway was being built to link Alaska to the “Lower 48” states through the Yukon, BC and Alberta and he was a parts man for Caterpillar Tractor based in Fort St. John. His service in the Second World War earned him the opportunity to continue his education. Dr. Barber graduated at the age of 27 with a Bachelor of Science degree in forestry from UBC in 1950. He credits this “second chance” at education as the starting point for the success he has enjoyed both personally and professionally, and the experience that has motivated him to become a generous supporter of education. In 1952, he qualified as a professional registered forester and he has been involved in the BC forest industry since then, working throughout the province. In 1978, he founded Slocan Forest Products Ltd., which he built it into one of the leading lumber producers in North America. Dr. Barber retired as Chairman in February 2002. Dr. Barber’s philanthropic support has been instrumental in helping establish programs to promote research and education. The Irving K. Barber One World International Scholarship provides outstanding recent graduates of JIBC’s Career Fire Fighter Pre-Employment Certificate with an opportunity to broaden their understanding of the cultural aspects of serving communities through fire protection services. In 1996, Dr. Barber was awarded the Forest Excellence Award in Communications for his involvement in the publication of The Working Forest of British Columbia. In 1997, he was given the Ernst & Young Entrepreneur of the Year award for the Pacific Region. 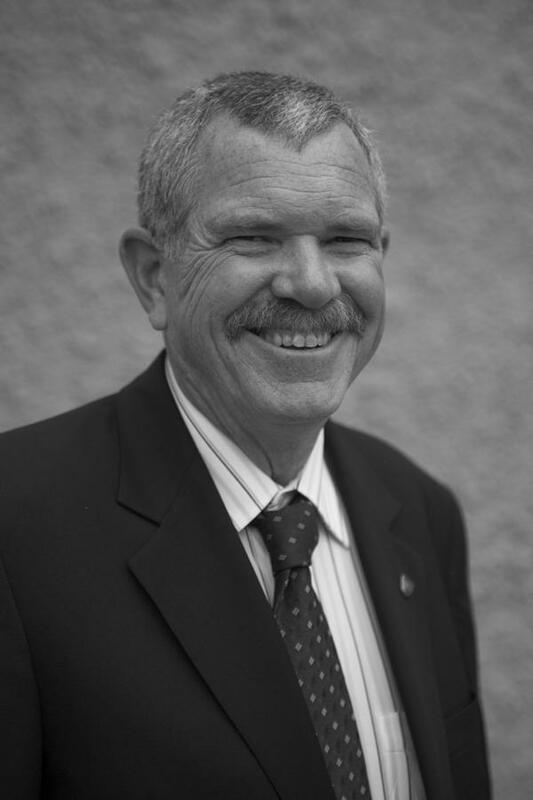 The Registered Professional Foresters Association named Dr. Barber the Distinguished Forester of the Year in 1999. He is a recipient of the Order of BC, an officer of the Order of Canada, and a companion in the Canadian Business Hall of Fame. Mike Harcourt’s belief in conservation and sustainable development has defined his career and helped British Columbia earn its reputation as one of the most liveable, accessible, and inclusive places in the world. Mr. Harcourt is a former Premier of British Columbia, Mayor of Vancouver, and City Councillor. Mr. Harcourt studied law at the University of British Columbia and founded and became the first director of the Vancouver Community Legal Assistance Society. Mr. Harcourt served as a Vancouver Alderman from 1973 to 1980, and as Vancouver Mayor from 1980 to 1986. He was elected to the BC Legislature as a New Democratic Party MLA in 1986. He became the Leader of the Official Opposition the following year. In the 1991 provincial election, Mr. Harcourt was elected Premier. During his term as Premier he presided at the official opening of JIBC’s campus in New Westminster in 1995. He is a passionate believer in the power of cities and communities to improve the human condition. As such, as a speaker, author, and advisor internationally on sustainable cities, he was appointed to serve on numerous committees, namely as Chair of the Prime Minister’s Advisory Committee for Cities and Communities, Co-chair - the National Advisory Committee on the UN-HABITAT World Urban Forum, and was a member of the National Round Table on the Environment and Economy. While his accomplishments in public life have won him plaudits, the determination he demonstrated in overcoming a spinal cord injury has earned the respect of countless others. In 2002, he broke his neck after falling from a cliff on Pender Island. Left partially paralysed, his chances for recovery were remote, but he overcame obstacles and enjoyed a near full recovery. His wife Beckie was awarded a JIBC Foundation Heroes & Rescue Award for her role in his rescue. Mr. Harcourt’s exemplary career as lawyer, community activist, and politician has been honoured with the Woodrow Wilson Award for Public Service, the Canadian Urban Institute’s Jane Jacobs Lifetime Achievement Award, and the UBC Alumni Achievement Award of Distinction for contributions to British Columbia and Canada. William Richards Bennett, PC, OBC, was the 27th Premier of British Columbia. After graduating high school, Bill Bennett with his brother RJ, managed their father’s hardware business. They then developed their own furniture business and made a success of various real-estate and other business ventures. In 1973 Bill won the Social Credit nomination in the Okanagan South seat left vacant by his father’s resignation and shortly after became leader of both the party and of the opposition. Bill Bennett is the son of former Premier, W.A. C. Bennett who served BC for seven consecutive terms. 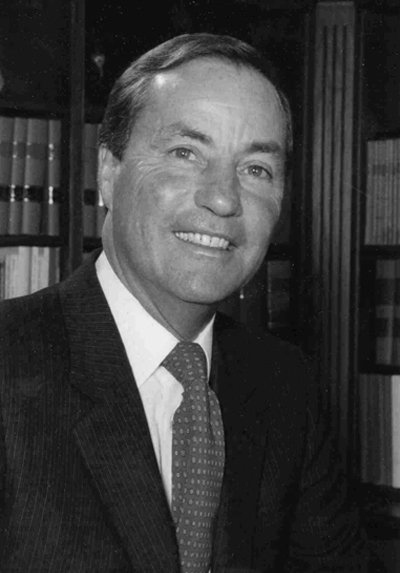 Bill Bennett was elected Premier of BC in 1975 and served three consecutive terms. He retired from public service in August, 1986. During his tenure as Premier, his government brought the 1986 World Exposition (Expo 86) to Vancouver, an event that raised the profile of both the city and the province of BC. Many consider Expo 86 the catalyst for the sustained growth both Vancouver and BC experienced. Bill also launched construction of the Coquihalla Highway, a key transportation link between the Lower Mainland and the interior of BC; established SkyTrain in the Lower Mainland; and opened BC Place Stadium. Bill also played a key role in the establishment of the Justice Institute of British Columbia. In April 1978, he signed an order-in-council that designated the JIBC as a public post-secondary education institution to provide courses to Police, Corrections, Courts and Sheriffs; identify educational needs of all components of the BC justice system, including fire services; coordinate programs with other post-secondary institutions; and provide a provincial forum for examination of justice and socially-related issues. Bill Bennett’s contribution to BC and Canada and his commitment to public service has not gone unrecognized. In 2008, the new bridge across Okanagan Lake in Kelowna was named the William R. Bennett Bridge in his honour. In 2007, he received the Order of British Columbia, BC’s highest award for achievement. As Executive Manager of the the Century Plaza Hotel & Spa and co-owner of the Absolute Spa Group, Sergio Cocchia has worked tirelessly to build the success of the brands that he and his wife Wendy Lisogar-Cocchia have nurtured. However, as parents of a teenager with autism, Sergio and Wendy quickly recognized that not all families in British Columbia have access to the opportunities and resources they were able to provide their son, and realised that there was little coordinated effort to provide families with support. That recognition led to Sergio’s participation as Board President of the Mediated Learning Academy/Variety Learning Centre; and spurred the vision for the Pacific Autism Family Centre (PAFC): a facility where the families of those diagnosed with autism could access professional assistance, treatment plans and other resources required to prepare themselves for the challenges ahead. Employing the business and networking skills that have been integral to their commercial enterprises, Sergio assumed the role of President of the Pacific Autism Centre Society, the non-profit group leading the project. As President, Sergio was instrumental in establishing a foundation to raise money and support the building and operation of the PAFC, as well as leading the development of a strategic plan for the Centre. As he proceeded to make the vision of the centre a reality, Sergio gave high priority to ensuring that the voices of families and representatives of the autism community were heard; recognizing that their input would be critical to the success of the Centre. The lessons learned during the building of a successful business partnership with Wendy would be fundamental to success in the establishing the Centre - engaging key stakeholders and achieving shared goals by consensus. While there were challenges in achieving that consensus in the autism community, Sergio persevered, recognizing that success would be measured by encouraging people on opposite sides of issues to work together on a common goal. Now that a location and funding have been secured, Sergio is actively involved on the Steering Committee formed to guide the development and planning of the project. In recognition of his accomplishments and contributions to the province of British Columbia, in particular his shared vision in establishing the Pacific Autism Family Centre, we are honoured to present to entrepreneur and philanthropist Sergio Cocchia the JIBC’s highest award, a Doctor of Laws (Honoris Causa). Entrepreneur Wendy Lisogar-Cocchia, president of Absolute Spa Group, and her husband Sergio Cocchia are a formidable business team. However, while building their business has brought them some measure of success and satisfaction, Wendy and Sergio have dedicated much of their time and effort to creating a collaborative environment for the building of an autism research and support centre to help families dealing with autism spectrum disorder. Wendy has also volunteered in a range of business, community and philanthropic activities. She is the recipient of numerous awards and honours, including Canadian Food Services/Hospitality Executives Association Entrepreneur of the Year, Business in Vancouver’s Influential Women in Business, YWCA’s Woman of Distinction – Entrepreneur & Innovator, Vancouver Board of Trade Woman in Spotlight Award, Sales & Marketing Executive of the Year, BC Woman Magazine – Woman of the Month, Business in Vancouver’s Top 40 under 40, Variety Club’s International Corporate Fundraiser of the Year and the Variety Club Angel Award. 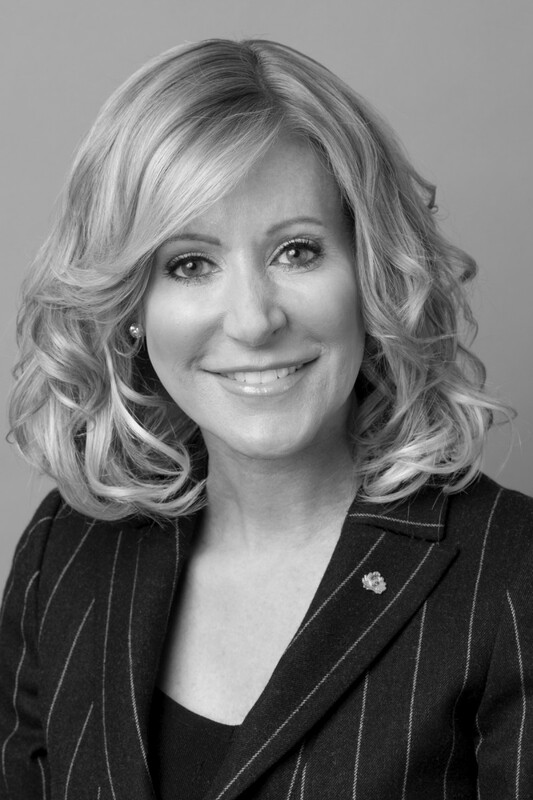 She served as the co-chair and director for Vancouver Board of Trade’s Spirit of Vancouver, as an ambassador for the 2010 Olympics and is the first woman to be elected to the Vancouver Police Foundation Board. She currently serves as Senior Vice-Chair of the Vancouver Board of Trade Executive Committee and has been named Chair-elect, effective June 2011, the fifth and youngest woman ever to serve in this position. The well-known Century Plaza Hotel & Spa Women’s Media Golf Classic, which was founded by Wendy in 1987 and she continues to Chair today, has raised over $2.6 million for children’s charities, with more than $1 million going to Variety – the Children’s Charity of BC. She has also been very generous in her support of the JIBC Foundation. All of her well-deserved success and recognition were trumped by news in early 2011 that a location for the Pacific Autism Family Centre was secured by the Province and the City of Vancouver at Sunny Hill Health Centre for Children in Vancouver. This, combined with the province’s commitment of up to $20 million in funding towards capital costs, represents a significant return on the investment of her time, energy and passion in making a difference in the lives of British Columbians. In recognition of her accomplishments and contributions to the province of British Columbia, in particular her shared vision in establishing the Pacific Autism family Centre, we are honoured to present to entrepreneur and philanthropist Wendy Lisogar-Cocchia the JIBC’s highest award, a Doctor of Laws (Honoris Causa). Marvin Storrow, Q.C. has been described by the Honourable Frank Iacobucci, retired justice of the Supreme Court of Canada,as an “extremely capable … quietleader”, with “strong moral and personal principles, which show in everything he does.” It’s a fitting description of the qualities embraced by Marvin in his long legal career and contributions as a volunteer. After graduation and articling, Marvin joined the Vancouver City Prosecutor’s Office. In 1967, he formed his own law firm, DuMoulin, Storrow & Black and developed a busy criminal and civil practice, while continuing to act for the Crown on an ad hoc basis. At one point, it was estimated that he did one seventh of all the legal aid work in the Province of B.C. Marvin appeared regularly before the Supreme Court of Canada and argued high-profile cases in many areas of law. His most significant contributions were in the area of Aboriginal Law. In the mid-70s Marvin acted for the Musqueam Band in Guerin vs. The Queen, their case against the Shaughnessy Golf Club. The decision of the Supreme Court of Canada in favour of the Musqueam Band has been influential in the areas of Aboriginal and fiduciary law and is a testament to Marvin’s ability, tenacity, courage and determination to correct historic injustices towards Aboriginal people. In 2000, the Canadian Bar Association cited Guerin and Sparrow, another of Marvin’s landmark Aboriginal rights cases, among the top 40 most significant legal events of the past 100 years. Marvin, partner emeritus with Blake, Cassels & Graydon’s, has not limited his contributions to the courtroom. He is a life bencher of the Law Society of BC, has served on the executive of both the Vancouver and Canadian Bar Associations and has contributed time and energy to organizations as diverse as the BC Epilepsy Society, Greenpeace and the BC Sports Hall of Fame. Most recently, he was appointed an Olympic ambassador to the 2010 Winter Olympic and Paralympic games. JIBC has also been a significant beneficiary of his volunteerism. He served on the JIBC Foundation Board of Directors from 1998 to 2007 and was named Honorary Director in 2007, a role he continues to fill. Since 2008, he has served as Co-chair of the JIBC Foundation Board Galas, which have raised more than $750,000 in support of JIBC and its students. Through his spirited and principled practice of the law, empathy for those who have suffered injustice and unstinting capacity to give his time and talent to his community, Marvin Storrow, Q.C. exemplifies the best traits of the legal profession. Recently, Globe & Mail named 25 transformational Canadians, whose vision, leadership and actions have improved the lives of others. Jim Chu is among those 25 exceptional individuals. Born in Shanghai, China and raised in East Vancouver, Vancouver Chief Constable Jim Chu’s association with JIBC dates back to1979, when he joined the Vancouver Police Department and became a member of Police Recruit Class #13. A strong believer in life-long learning, Jim continued his education while working with the department, going on to earn a Bachelor of Business Administration from Simon Fraser University and an MBA from the University of British Columbia. Jim has served the VPD in a number of investigative and administrative roles. As Sergeant in charge of recruiting, he developed the VPD’s applicant guide and the department’s first website in 1996. In 1997, he became an Inspector and supervised the transition of a number of VPD’s communications technology systems, including the introduction of the E-Comm radio system, a new dispatch facility, the PRIME-BC Records Management system, and a new mobile computing and data access platform. He received a Chief Constable’s Commendation in 2000 for his work on these projects. In 2001, Jim was given command of District 4, the southwest quarter of Vancouver. Appointed a deputy chief in 2003, he was put in charge of the Support Services division, which handles human resources, information technology, planning and communications. It also includes the department’s Financial Services Section, and Jim has earned recognition for his role in dealing with the department’s cost overruns. In July 2007, Jim was placed in charge of the Operations Support division, which oversees criminal intelligence, emergency response and the gang and drug squads. He was appointed Chief Constable in August of that year, a position he continues to fill with great distinction today. In spite of the competing demands of work, study and raising a young family, Jim found time to serve as a library board trustee for eight years, earning an award as a “super trustee” from the BC Library Association. He also authored a book published in 2001, Law Enforcement Information Technology. Jim served on the JIBC Board of Governors from 2004 to 2007. In 2007, the Governor General awarded Chief Constable Chu the Order of Merit of Police Forces, for service beyond the call of duty and he was also recognized by the JIBC as its Alumnus of the Year. It’s been said that Jim’s school report cards described him as “conscientious”, “a team-builder”, “good at getting groups to move to a common goal” and adept at “building consensus.” These traits, combined with a low-key yet tremendously effective style, have made Chief Constable Chu an invaluable leader of the VPD and the broader law enforcement community. 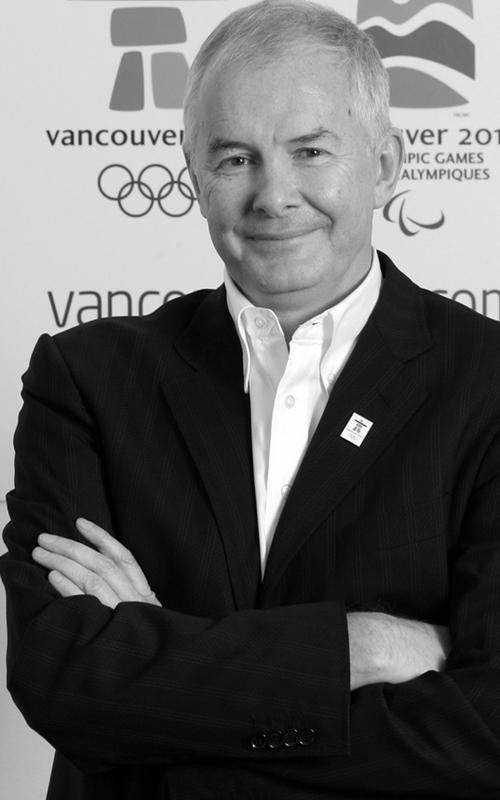 Before assuming the high-profile role of bringing and successfully staging the 2010 Olympic and Paralympic Winter Games in Vancouver and Whistler, John Furlong enjoyed a long track record of sports administration success. 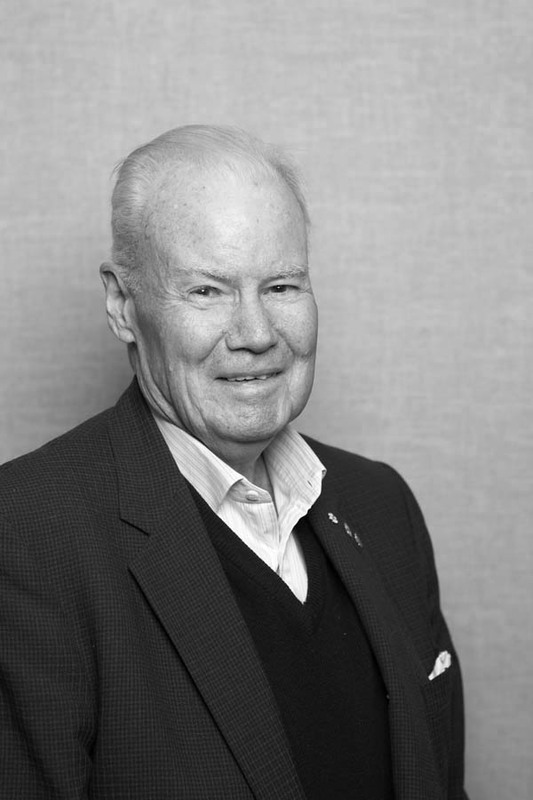 He served for four years as President of the Northern BC Winter Games Society, three years on the BC Games Society Board and ten years as a member of the Canadian Olympic Association Board. The Richmond resident was also a past chair of Sport BC, chair of the BC Summer and Winter Games and was a BC Mission Staff member for seven Canada Games. John Furlong’s contribution to the community through sport, his visionary leadership of the VANOC team have substantially fulfilled his obligation to a customs officer and his adopted homeland to make Canada better. Education and firefighting are two of Bruce Hall’s long-standing passions. After completing his teacher’s certification at the University of Victoria, he decided to pursue a career as a fire fighter, which culminated in his assuming the role of Fire Chief at the Resort Municipality of Whistler in 2001. As he rose through the ranks of the Fire Service, he recognized the vital importance of educational programs to enhance the knowledge and skills of those interested in assuming leadership roles. At the time, there were little, if any, such programs available in Canada, so he travelled to Oregon to complete a Bachelor of Science in Fire Service Administration. His association with the JIBC began in 1981, when he served as a seconded instructor with the Fire & Safety Division. In 2002, he was invited to serve on the JIBC Board of Governors, which he then chaired from 2004 to 2008, making him the first firefighter to assume this leadership role at the Institute. He also served on the JIBC Foundation Board of Directors during this period. During his tenure on the Board, he was able to oversee the approval of the JIBC’s first undergraduate degree, a Bachelor of Fire & Safety Studies, which fulfilled his combined passions for greater professionalism in the fire services and enhanced educational opportunities for aspiring leaders. In addition to conferring the Institute’s first Bachelor of Fire and Safety Studies degrees at the Summer 2008 Convocation ceremonies, Bruce Hall also enjoyed the privilege of conferring the Institute’s first honorary degrees on the first Chair of the JIBC Board of Governors, Bob Stewart and former JIBC Foundation Board member and Board Governor, Peter Webster. Bruce served as President of the Fire Chiefs Association of BC for several terms and, at the time, he was its longest serving President. In that role, he had a profound influence on the 14,000 volunteer and career firefighters in the province and on the interface between the fire service and municipalities throughout BC. His most recent role was as Manager, Fire Service Coordination, for the provincial Integrated Public Safety Unit supporting the Vancouver 2010 Olympic Winter Games. Bruce Hall’s commitment to and advocacy on behalf of both the JIBC and the fire services have contributed significantly to the success of both institutions. Dr. Donald B. Rix was a widely respected member of the medical profession and a visionary corporate leader who is widely recognized and admired for his selfless service to British Columbia. He was also a generous philanthropist, a dedicated volunteer and an extraordinary supporter and champion of higher education, and of the JIBC; for, in his own words, “education is the best investment you can make”. He was the founder and chair of MDS Metro Laboratory Services (now known as LifeLabs Medical Laboratory Services), the largest private medical laboratory in Western Canada. He served as chair of the Vancouver Board of Trade, a senior member of both the British Columbia and Canadian Medical Associations, and was awarded the BCMA Silver Medal of Service Award in 2004. During his term as Chair of the Vancouver Board of Trade, he advocated for a change to use of “crimes reported to police” by Statistics Canada to report on crime rates, given other studies indicating that only about one-third of crimes are reported to police. He also played a role in establishing the Community Safety Committee. Constantly giving of his time, talent and goodwill, he was an active member of several organizations and foundations including the BC Innovation Council, BC Cancer Agency Foundation, BC Medical Services Foundation, and the BC Children’s Hospital Foundation and was the Chairman of the Board of Governors of UNBC. He joined the JIBC Foundation Board in 2006, chaired the Standing Strong Capital Campaign in 2007 and was named Honorary Chair of the JIBC Foundation Board in 2009. In addition to several honorary degrees bestowed on him by post-secondary institutions, other accolades include investiture in the Order of British Columbia (2004) and the Order of Canada (2007). He was a member of the Sovereign Order of St. John of Jerusalem, Knights Hospitaller and in 2002 was awarded the Queen’s Golden Jubilee Award. In 2009, Dr. Rix became the 44th recipient of the Canadian Medical Association’s F.N.G. Starr Award. The Rix Family Foundation made an extremely generous gift of $1 million to the JIBC in 2007. This gift has been used for student support, to help complete the Rescue Tower at the Maple Ridge campus, to provide new resources for the Library, and to enhance the eponymously named Dr. Donald B. Rix Public Safety Simulation Building. The first-class paramedic and ambulance services available in BC are largely due to Dr. Peter Ransford’s vision and persistence. In 1973, he was asked to survey the status of ambulance and emergency services in B.C. His report, which recommended dramatic changes, became the blueprint for modern emergency health services in the province. He directed the introduction and consolidation of these major service improvements, which led to today’s BC Ambulance Service (BCAS). Throughout his career as a physician, Dr. Ransford served on several local and national committees involving transport of the critically ill and injured. Dr. Ransford went on to work as Senior Medical Advisor for the Ministry of Health until his retirement in 1983. Dr. Ransford received the Order of BC in 2008 in recognition of his pioneering work to help create the BCAS. Well-known as a television host and journalist, Dr. Carole Taylor extended her talent and influence to become one of B.C.’s most respected and dynamic leaders. She served on Vancouver City Council and subsequently the provincial legislature, where she held the portfolio of Minister of Finance. She has chaired the CBC Board of Directors, The Vancouver Board of Trade, both Canada and Vancouver Ports corporations, and is a director of numerous social service organizations and national companies.In 2011, she served as Chancellor of Simon Fraser University for a three-year term. As a volunteer, she brought her wisdom and generosity of spirit to countless organizations, including BC Children’s Hospital, the United Way, and the Heart and Stroke Foundation of BC and Yukon. In 2001, she was appointed an Officer to the Order of Canada and has received honorary degrees from SFU, BCIT, the BC Open University (now Thompson Rivers University) and JIBC. Joseph & Rosalie Segal are community leaders and philanthropists recognized for their significant contributions in B.C. and across Canada. Joseph Segal is a respected business leader and Canadian merchandising legend. Born in Vegreville, Alberta, he served overseas with the Calgary Highlanders for two and a half years. After serving in the Second World War, he opened a small family clothing store in 1950, which grew into a successful chain of 70 Fields stores. He would eventually acquire Zellers in 1976 and also become the largest single owner of the Hudson’s Bay Company. Together with his wife, Joseph and Rosalie Segal have made significant contributions to the Jewish community, Justice Institute of British Columbia (JIBC), Simon Fraser University, The Variety Club and the VGH+UBC Hospital Foundation. These have been recognized with the Order of Canada, the Order of BC and the 2005 Variety Club International Humanitarian Award and honorary doctorates from JIBC in 2008. Their support was instrumental in creating the Joseph & Rosalie Segal Family Health Centre, a new Vancouver mental health treatment facility under development. Dr. Segal was also instrumental in establishing SFU’s Downtown Campus, with his family donating the formal Bank of Montreal heritage building, which now serves as the home of SFU’s Segal School of Business. Bob Stewart has enjoyed a distinguished career in community service, legal education and the development of public policy. A former police officer, now retired after 37 years of service with the Vancouver Police Department, he served as Chief Constable from 1981-1991 and a director of national and international justice agencies. Dr. Stewart’s first significant involvement in shaping higher education was as a provide development consultant to Simon Fraser University during the 1960s. That experience would provide invaluable insights as he initiated and oversaw the establishment of the British Columbia Police Academy. He developed the concept of the Justice Institute of British Columbia and became founding Chair of the Board of Governors in 1978, and continued to pilot its development for 17 years. After serving on the Board of Governors, he assumed the role of Chair of The JIBC Foundation Board from 1999 to 2002. Since retiring, Dr. Stewart has provided consulting services on matters of law enforcement, private security and management to federal, provincial and municipal governments, the private sector, and not-for-profit charitable organizations. He has been a part-time member of the National Parole Board and he was also appointed founding Chair of the Motor Dealer Council of B.C. in 2003. He has served on countless numbers of charity and community service boards including as Chair of Variety – The Children’s Charity (1996-2003), the BC Special Olympics and Vancouver College. He is an Honorary Director of the Boys and Girls Club of Greater Vancouver, and advisor on substance abuse issues. His 1993 Man-of-the-Year of the Brotherhood Interfaith Society of BC Award and honorary membership to the Vancouver Police Department Pipe Band are among the long list of prestigious honours and awards he has received. He was the first recipient of an honorary degree from JIBC in recognition for his outstanding community and philanthropic leadership, and significant contributions to JIBC. Peter W. Webster is a business executive with more than 30 years of experience serving as a director in a variety of public and private corporations in Canada and the U.S.
Peter has distinguished himself with a lifetime commitment to community service and has served with a number of non-profit organizations at the leadership level locally, nationally and internationally. His longstanding contribution to the Justice Institute of British Columbia (JIBC) began with his appointment to the Board of Governors in 1988. He then assumed the role of the first Chair of The JIBC Foundation. In recognition of his extraordinary contributions, Peter was awarded JIBC’s first honorary degree, alongside Bob Stewart, founding chair of the JIBC Board of Governors. In 2007, he was inducted into the BC Sports Hall of Fame in recognition of his outstanding contribution to sport development and the welfare of athletes in B.C. and across Canada. Among Dr. Webster’s many community service activities, he serves as Chairman of the R. Howard Webster Foundation, and has served as the Chair of the Boys and Girls Clubs of Canada Foundation, a Trustee on the Vancouver Police Foundation board and a Governor of Acadia University.